You know how some days you just need to throw "healthy" out the window and eat something chewy, fudgy, and chocolaty? Well, these brownies meet all of those needs! This recipe is easy, cheap, quick, and only dirties one mixing bowl. If you line the baking dish with parchment paper, you don't even have to clean the baking dish! This recipe has never failed me, and it always gets rave reviews from friends. They also freeze great! I make a batch and then wrap them individually in saran wrap to store in the freezer. 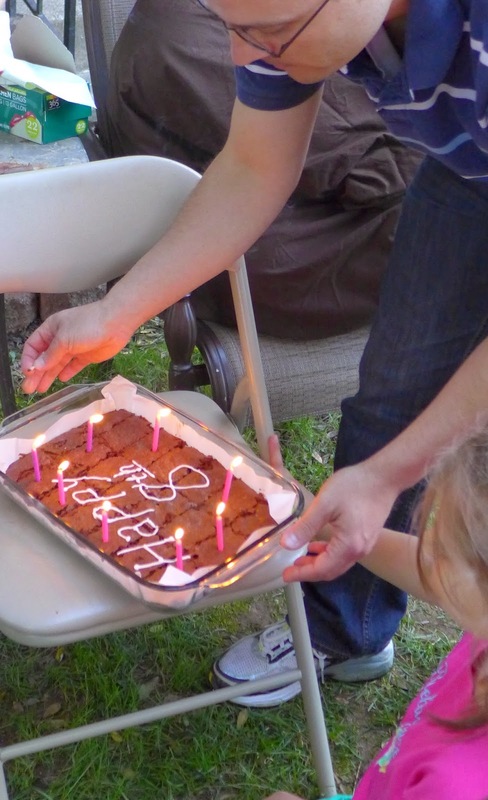 When birthday parties come up for my daughter, we grab a brownie out of the freezer for her to have at the birthday party. Fold in the flour and, if using, the chocolate chips. Line a 2 quart glass baking pan with parchment paper. Cool in pan for 10 minutes and then cut immediately using a serrated knife.